Ice cream potong has been around for a long time, ever since I was a kid where the ice cream man on a motorcycle would ring his bell when it comes around taking it back to the small kid days. Flash forward into the present, now it's widely available in supermarkets and hypermarkets. From the old traditional cottage brand, it has evolved into an all-time favorite dessert enjoyed by both young and old and yet it still brings the same good ol' taste as it should to be. 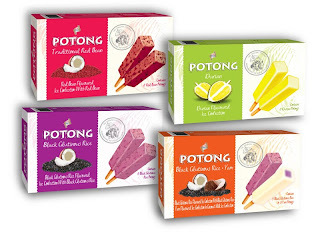 King's has recently revamped it's packaging of ice cream potong to reflect to the good old days when things were simpler. The new packaging design makes identifying the variants so much easier with clearer diagrams and a neat design layout. In addition to the packaging, King's has also enhance the durian flavor to a more improved version. 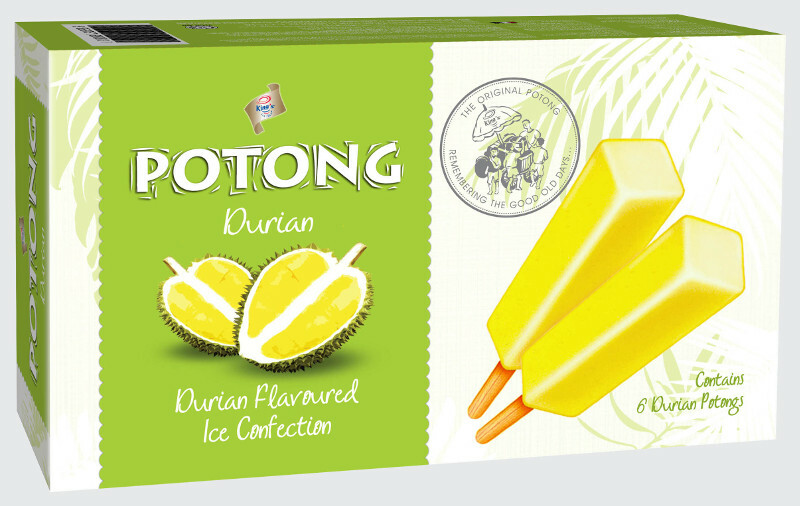 Now it contains a more intense durian taste that also has durian puree in it giving durian lovers the close taste of eating a frozen durian fruit. 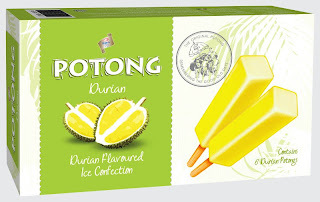 King's Potong Ice Cream is made from real coconut milk which gives it the delicious homemade flavor. The Potong ice cream range comes in 2 packaging formats, multipacks and foam packs. The multipacks comes in four flavor variants which is the Red Bean, Black Glutinous Rice, Durian and Assorted (Yam & Black Glutinous Rice) while the foam packs come only in Red Bean and Assorted flavors form for the moment. Those stored in the foam packs can last for 2 hours without freezing. Multipacks retail at RM5.40 per pack while the Foam Packs retail at RM8.50 per pack.